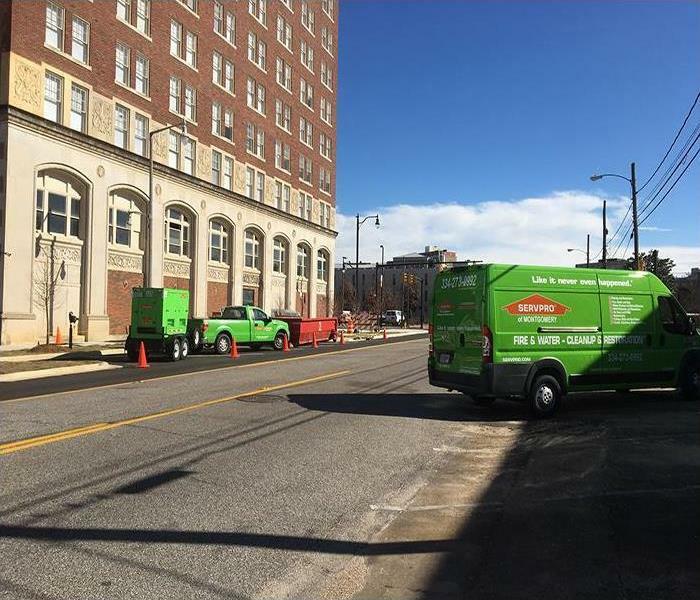 During Montgomery area commercial building restoration services, the Green Fleet, including towed-in power sources, is Why property management companies rely on SERVPRO. No job is to big or too small, not even your home. Ready to help 24/7. 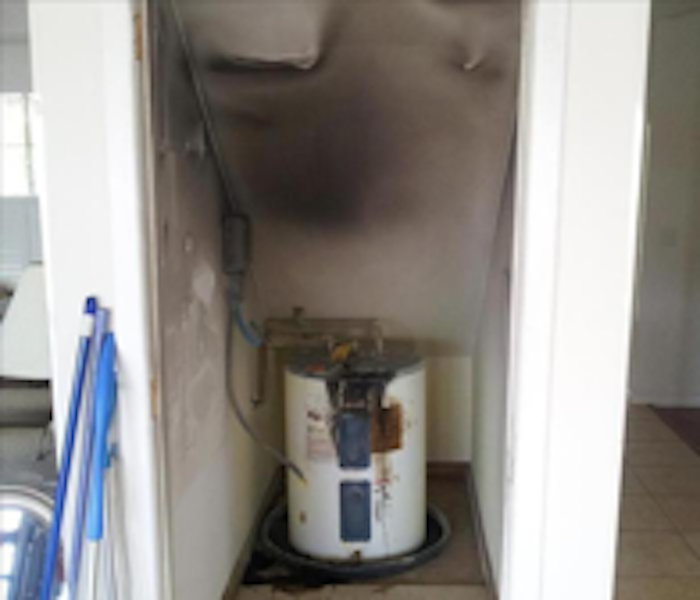 An electrical short in a washing machine can start a flare-up in a Highland Gardens property in a flash. 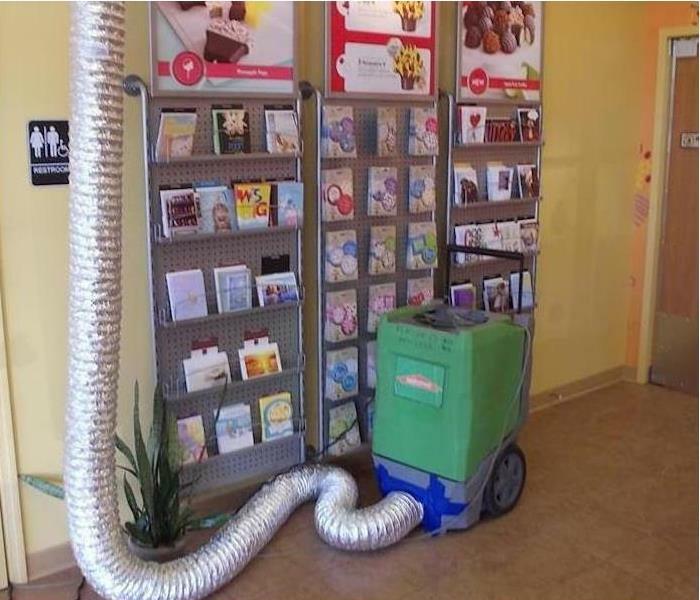 SERVPRO can arrive quickly, clean up the mess and then deal with the lingering odor. During the cleaning, a hydroxyl generator can neutralize the odors. Our SERVPRO team recently provided restoration services to the Interactive Neighborhood for Kids building. The property suffered water damage after a small fire caused the sprinklers to activate. With a fast response from our experienced crew, we quickly restored the building so that families can go back to enjoying INK. We have the training and equipment to handle large commercial flooding or water damage emergencies in the Montgomery area. The stormwaters carried along muddy debris along with unwanted moisture into this commercial building in Chisholm. 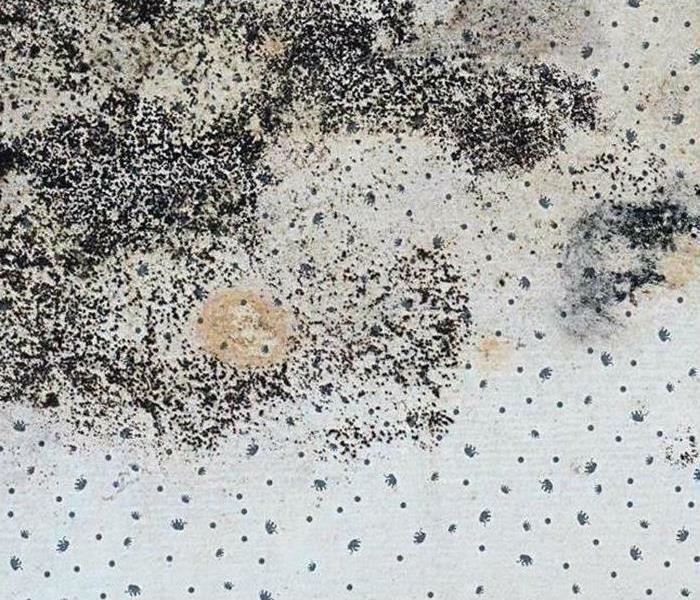 Even with tiles floors (with grouting) and block walls, seepage of contaminated water can cause present and future water and mold-related problems. Call SERVPRO to restore order, "Like it never even happened." SERVPRO of Montgomery North knows how to eradicate your mold infestation. All of our technicians are certified by the Institute of Inspection Cleaning and Restoration Certification in mold remediation. 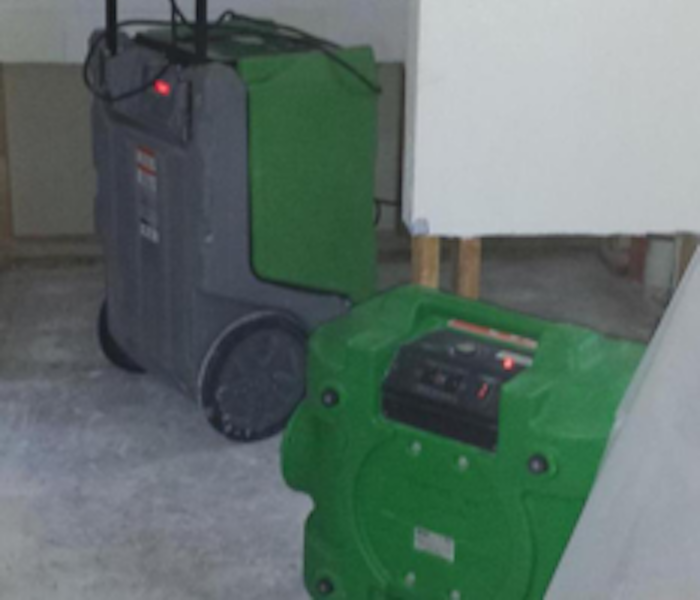 Our state-of-the-art mold remediation equipment can restore your property to pre-damage condition. 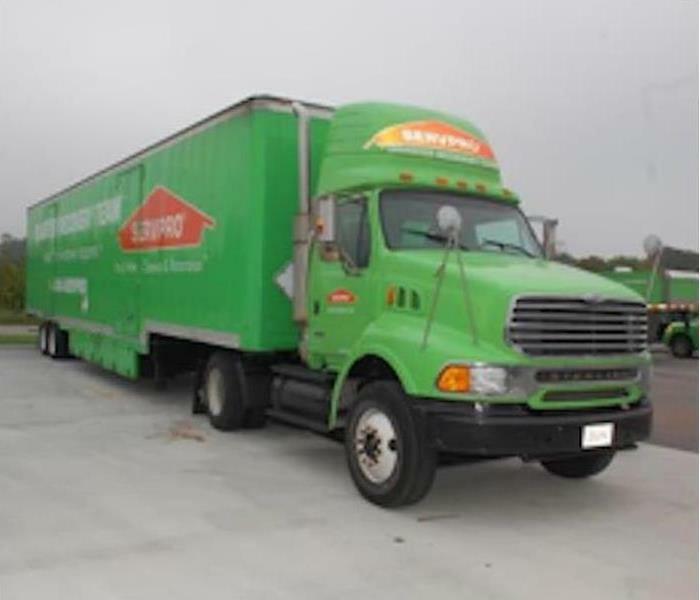 SERVPRO of Montgomery North is available 24/7, locally owned and operated, and Faster to Any Size Disaster. This sketch was completed by our estimator, Jessica Barnes. It shows a 5,000 sq. ft. apartment complex that experienced a substantial water loss. 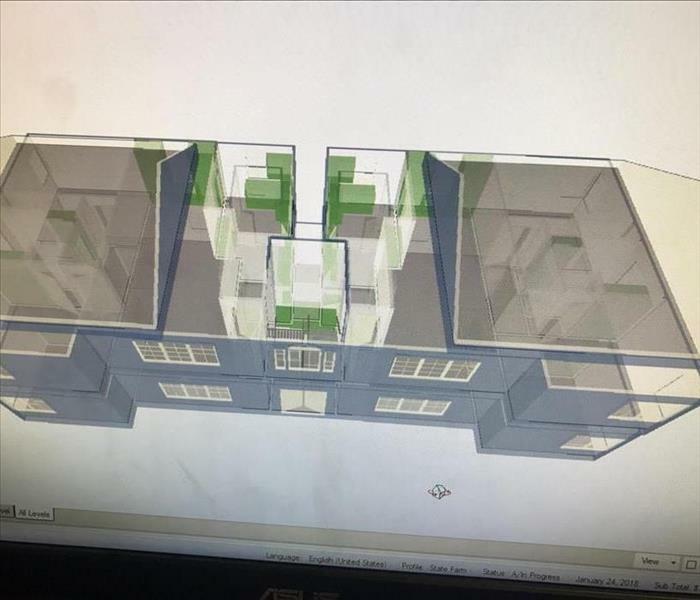 The sketch provides the level of skill and quality of work we provide to our customers. 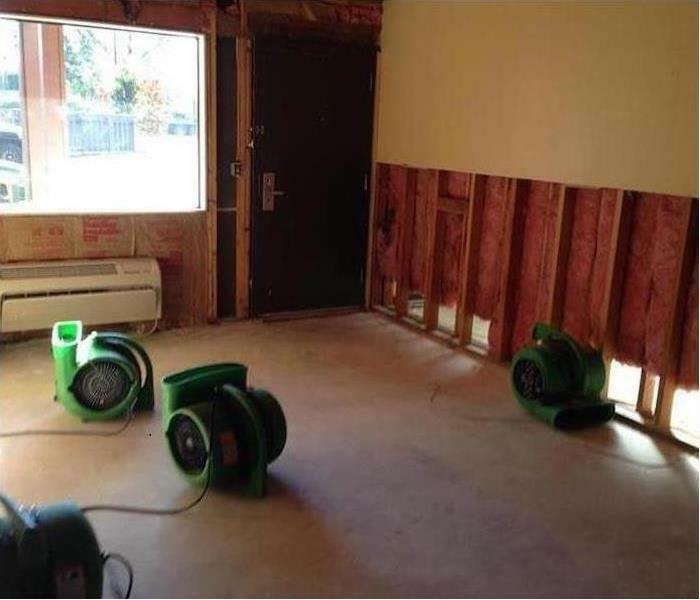 SERVPRO of Montgomery North has the equipment and experience to handle large commercial flooding or water damage emergencies. Our local team will respond quickly to minimize the damage and manage the restoration project through to its completion. 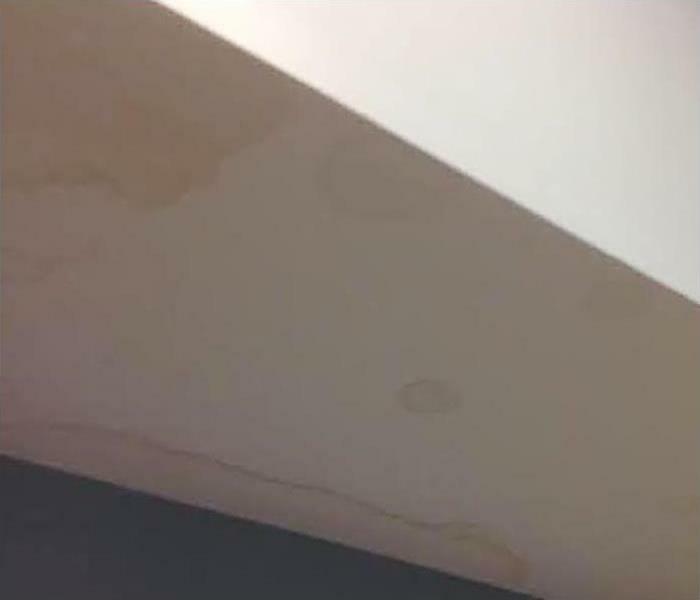 Our team includes Water Damage Restoration Technicians as well as Applied Structural Drying Technicians. Storm damage can be stressful for many homeowners. No need to worry SERVPRO has you covered! Our experts have the knowledge, equipment, and expertise to handle any size disaster. We are committed to responding quickly and will initiate the restoration process immediately. We're Faster to Any Size Disaster! A fabrication shop in Greenville, NC suffered significant fire damage and is considered a Large Loss project. SERVPRO of Montgomery North's Commercial Large Loss Division is composed of our elite large-loss specialists. These specialists are pre-qualified and strategically placed throughout the United States to tackle any size disaster. Our crew of specialists has the training and expertise to restore this property to pre-damage condition. 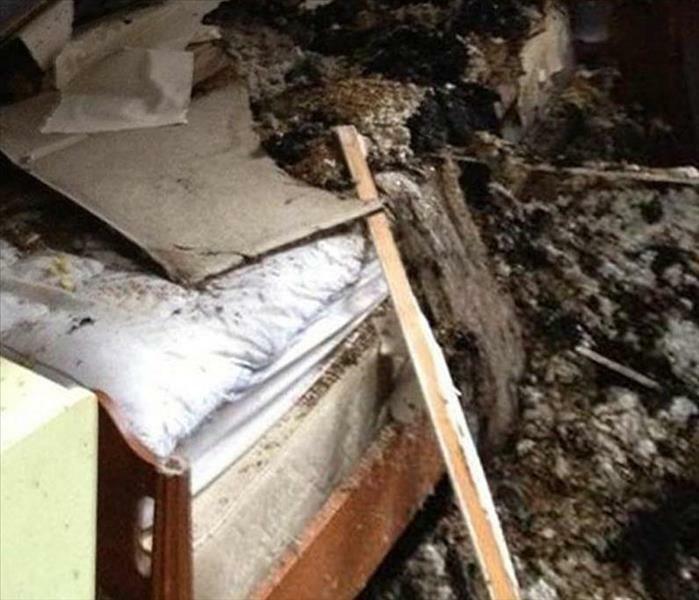 The electrical fire charred the wall and damaged the flooring and the mattress in this Hillwood Club home. SERVPRO can send out a team to clean up the debris, then the task, and a large one, of removing the smoke odors remains. Dealing with storm damage can be a difficult task. SERVPRO is ready to help you restore your property to pre-storm damage condition. Our professionals are available 24/7 and have the equipment needed to handle size disaster. Our storm damage cleanup and restoration process puts an emphasis on progress monitoring, documentation, and scientific drying techniques. We're Faster to Any Size Disaster! The hanging ceiling collapsed from the weight of the water that leaked through the roof. Careful disposal of the damaged material and then drying out the void was crucial to prevent rot and mold infestations from occurring. 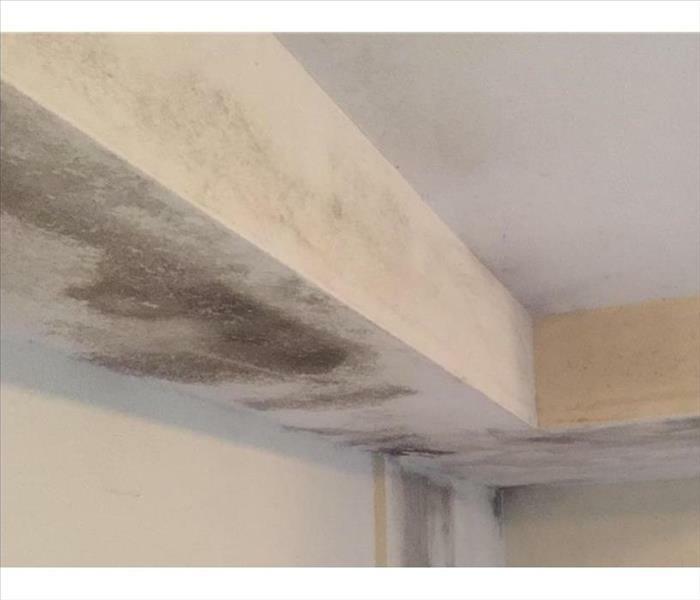 Mold damage in Montgomery residential and commercial properties owners have access to the latest technology available in mold damage remediation when they choose SERVPRO of Montgomery to service their mold disasters. 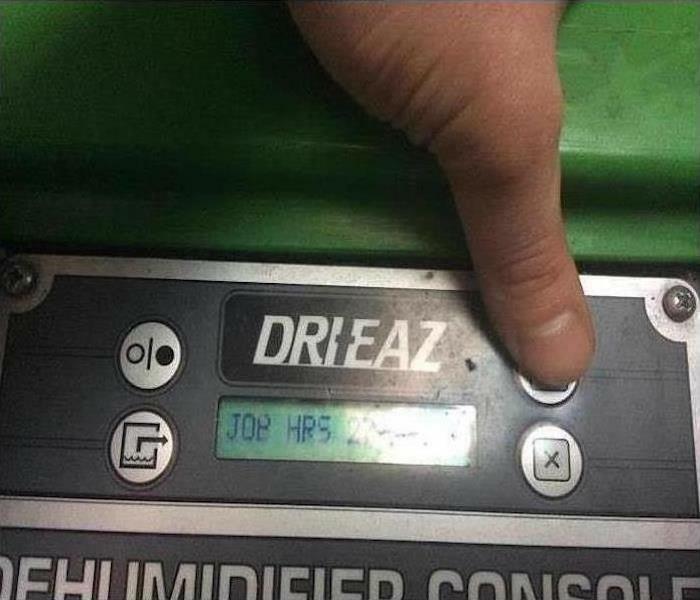 Shown in the photo is a dehumidifier console which aids in drying contents and the air when mold colonies are being cleaned up. The smoker no regrets smoking in the bedroom of this Chisholm home. The initial step in the fire damage restoration was a demolition of some wall panels and then a cleanup. The room was isolated from the rest of the house with poly sheeting to prevent the circulation of odors and burnt particles. Storm damage was suffered by several rooms at this Montgomery motel. 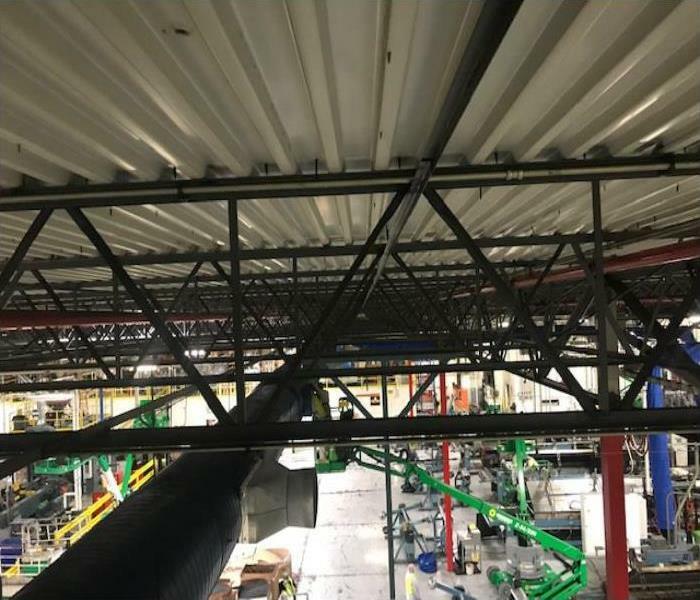 SERVPRO of Montgomery North was called in to clean up the wate3r and remediate the related damages due to their extensive experience and the amount of equipment they had available to commit to the project. The motel owner was interested in a quick but professional turnaround to this project. The tiles after being removed revealed an extensive mold infestation caused by a leaking water line. The moisture encouraged the nasty growth shown on the walls. 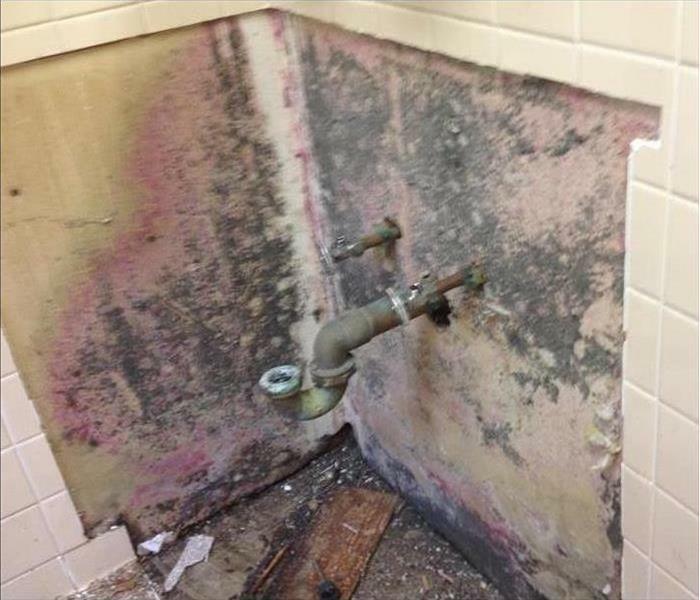 SERVPRO removed the fungi along with the damaged wall material, sprayed with an antimicrobial, and rebuilt the sink area. 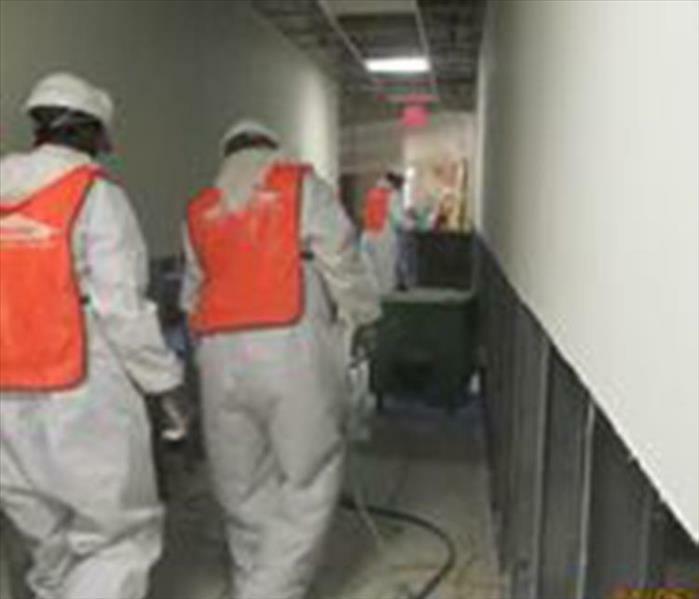 Count on us for a complete mold remediation service. The water saturated this carpet in the hallway of a home in the Garden District. A remodel was underway when a pipe was hit, and it ruptured. 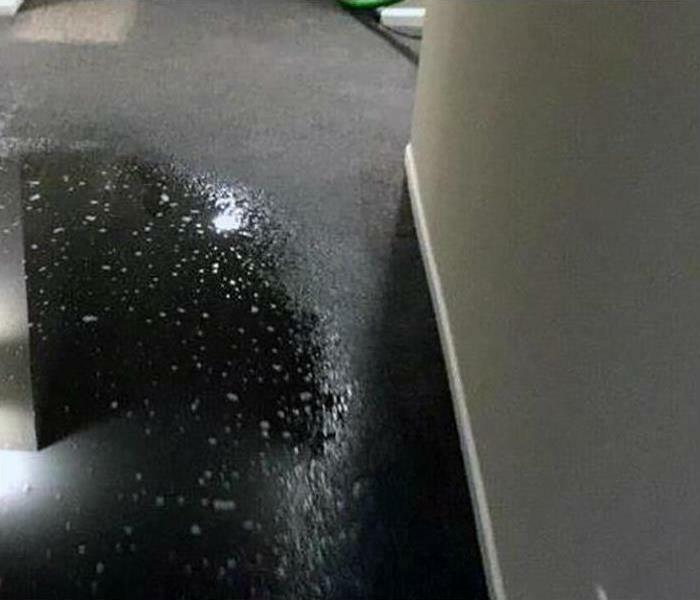 We quickly got to work to suction up the water from the carpet and salvaged it and the padding from further water damage. Storm damage in Montgomery can reach large-scale proportions. SERVPRO has strategically located Disaster Recovery Teams prepped and ready to respond on a moments notice. 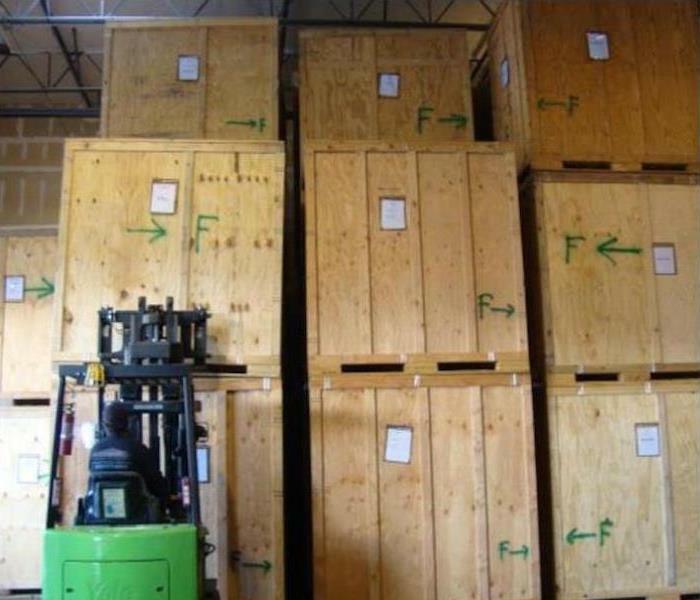 Pictured is a tractor trailer loaded with restoration equipment. 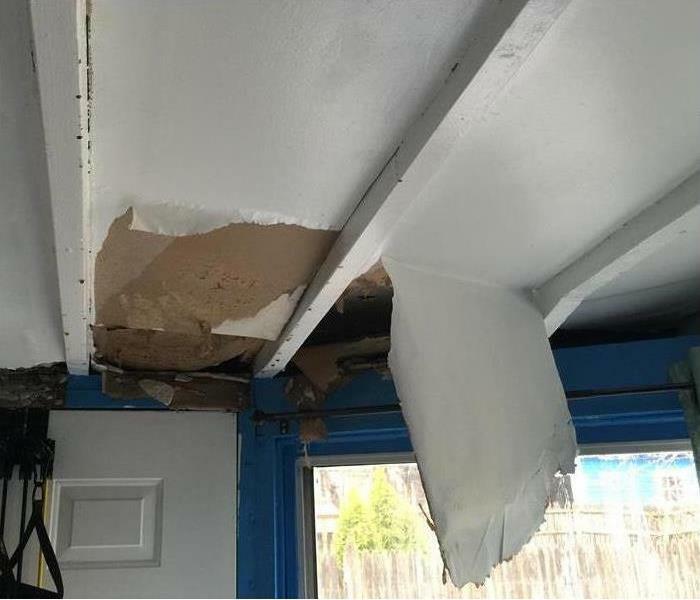 The visible mold damage on the wall and ceiling of this Chisholm home was caused by a condensation buildup in the attic. SERVPRO can scrape off the patches and apply a microbial product to exterminate the fungi and inhibit mold spore new growth. The attic may require addition insulation to present moisture from creating future mold problems. 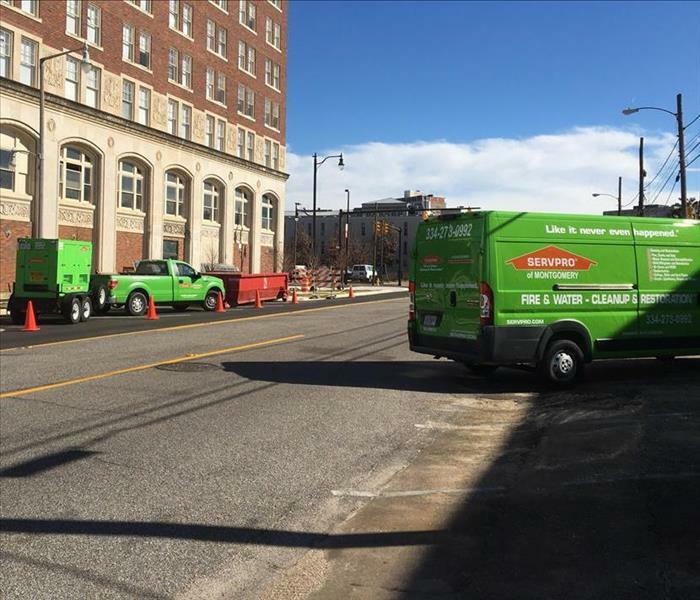 Our SERVPRO of Montgomery North fire & smoke restoration team is busy working on the cleanup at this high rise building in downtown Raleigh. As pictured in the photo, safety first, as our crew dons PPE--personal protection equipment--during the efforts to restore this corridor to its pre-loss condition. 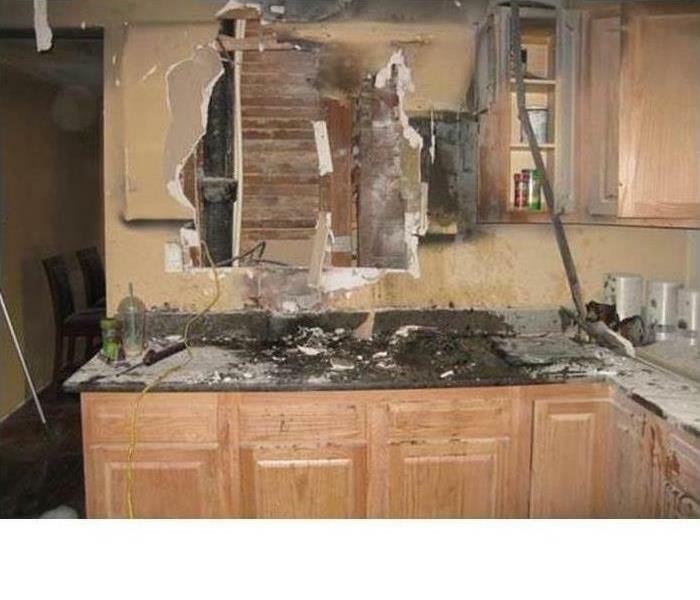 Fire damage, residential or commercial, large or small, you can count on us to make it "Like it never even happened." The SERVPRO of Montgomery team is dedicated to making our customers happy. We work hard to earn a great reputation in the Montgomery area. We were very happy to receive a testimonial note from a happy customer. The note includes … ‘Thank you. Forever grateful for your kindness and caring’. ‘All work was done with a smile and caring I cant describe’. We always appreciate the kind words. Our team is close by and ready to help when you need water, fire or mold restoration services. 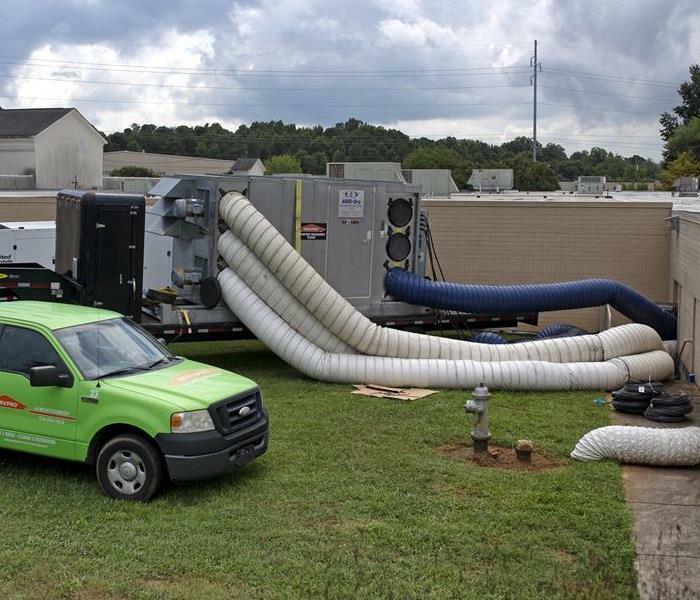 Bruce Bowen, co-owner of SERVPRO Montgomery works to make sure the labor stays hydrated on a muggy day in Raleigh NC. SERVPRO of Montgomery helps commercial customers recover quickly from water, fire, smoke, mold and storm damage. When an emergency situation arises in your business, give us a call and we'll be there fast with the help you need. 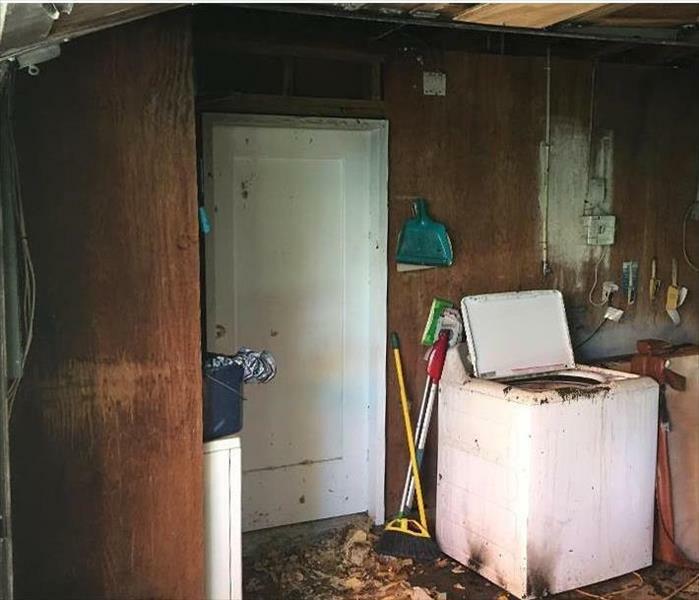 Fire damage at a Montgomery home created a substantial amount of soot and smoke damage requiring SERVPRO of Montgomery North to pack up the contents of the home and transport them to our warehouse for restoration and storage. 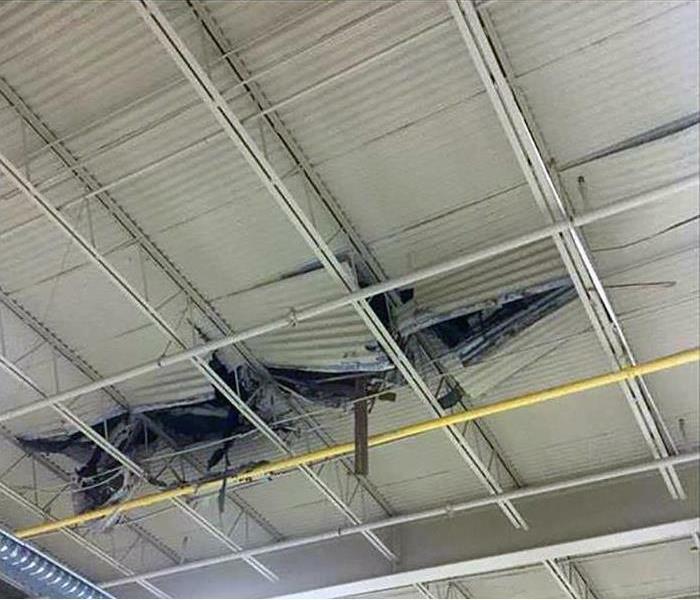 Commercial water damage occurred at this Montgomery retail facility when heavy rains came through a serious roof leak. 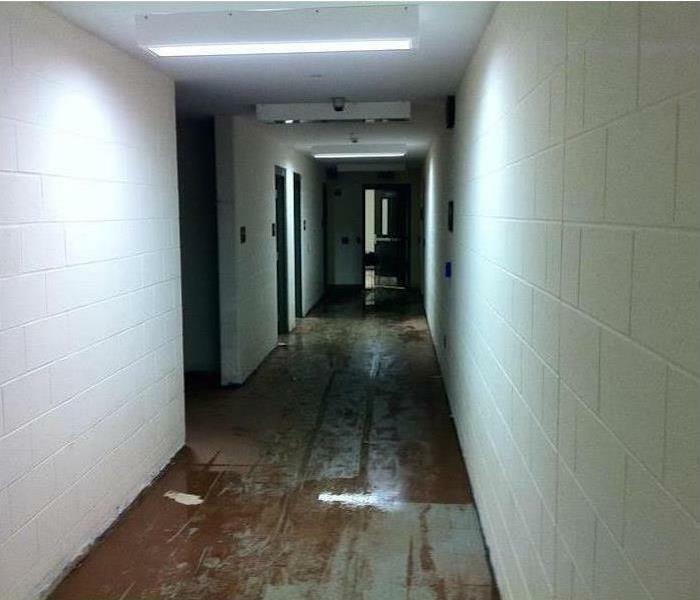 SERVPRO was brought in to clean up the water and mitigate the related damages. Smoking in bed is never a good idea. We completed the demolition that the fire started before we could complete the restoration and rebuild of the walls, floor, and ceiling. There was also a lot of smoke deodorizing and wipe down to finish the service. Mold damage was suffered by this Montgomery condo due to a roof leak which spawned mold in between the wall pictured above. 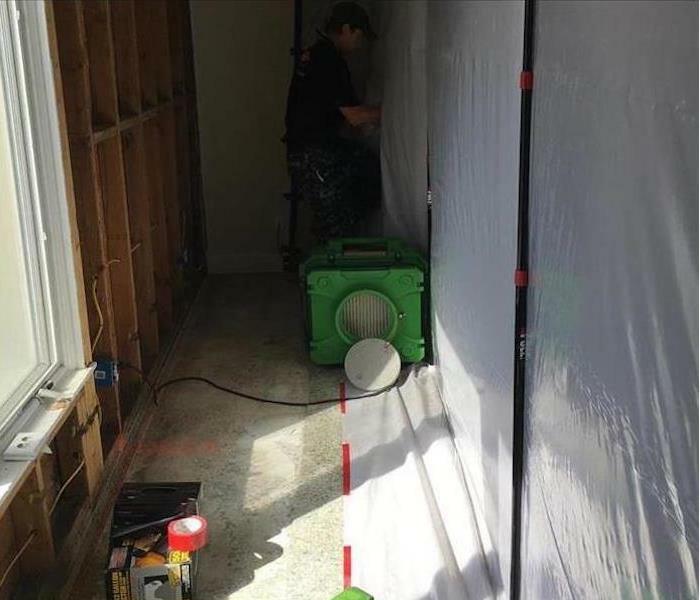 It is routine for SERVPRO of Montgomery North to build a containment area before remediation begins. This photo is a good example. 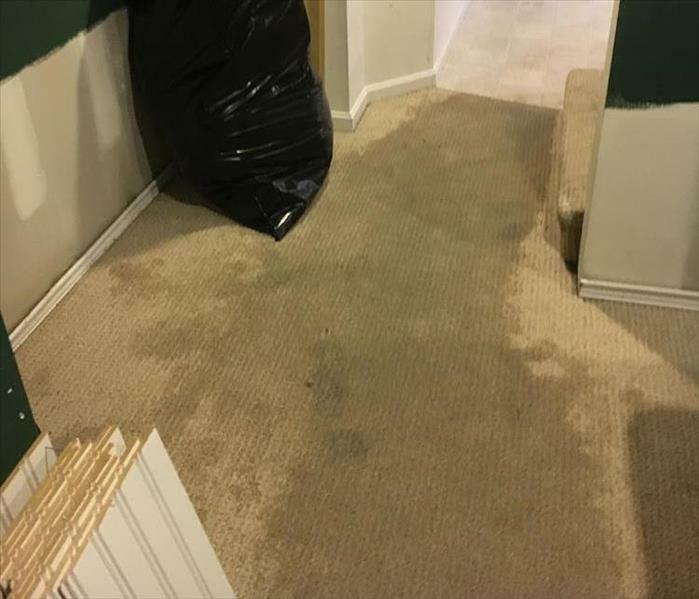 The water line ruptured, and the water was absorbed into the waffle utility door staining it and wetting the carpet in the hallway. We suctioned up the moisture from the flooring material and used a heated air mover to dry out the doors. Sandbags helped keep the storm waters at bay for the most part. 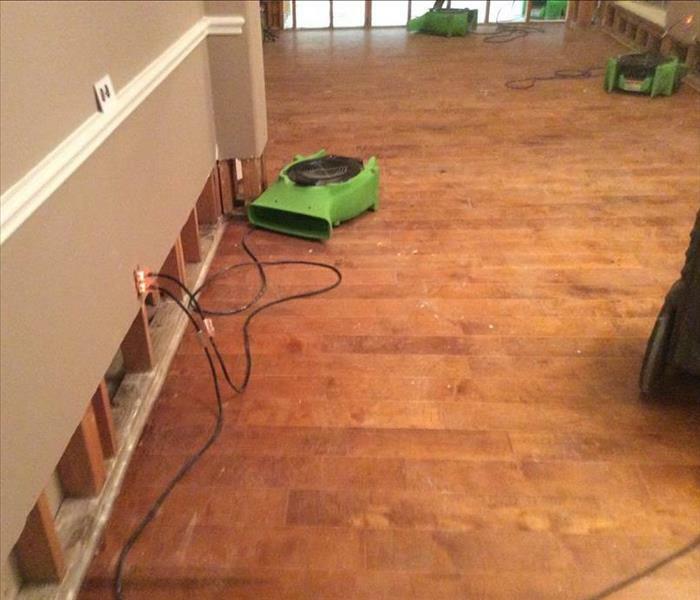 Our SERVPRO technicians set up pumping equipment to remove the water not allowing any appreciable depth that would wick into the walls. The tile flooring held up well, so the proactive water extraction mitigated material losses to this Montgomery store. 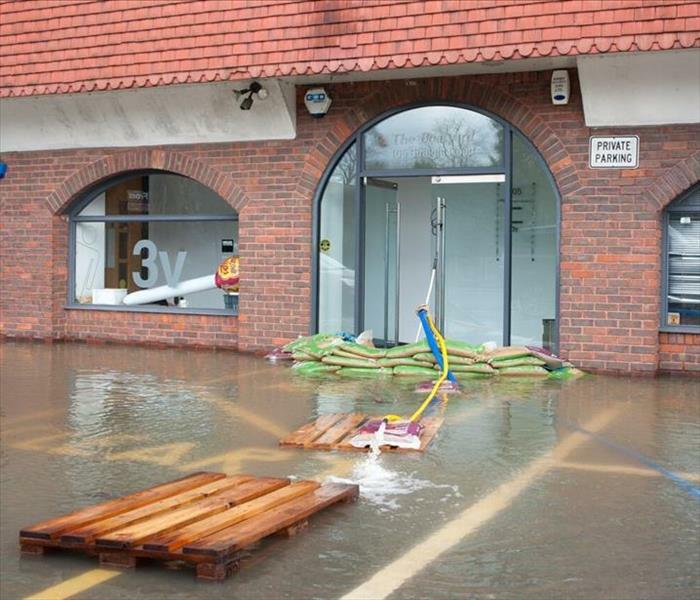 Rely on us during commercial water damage emergencies. 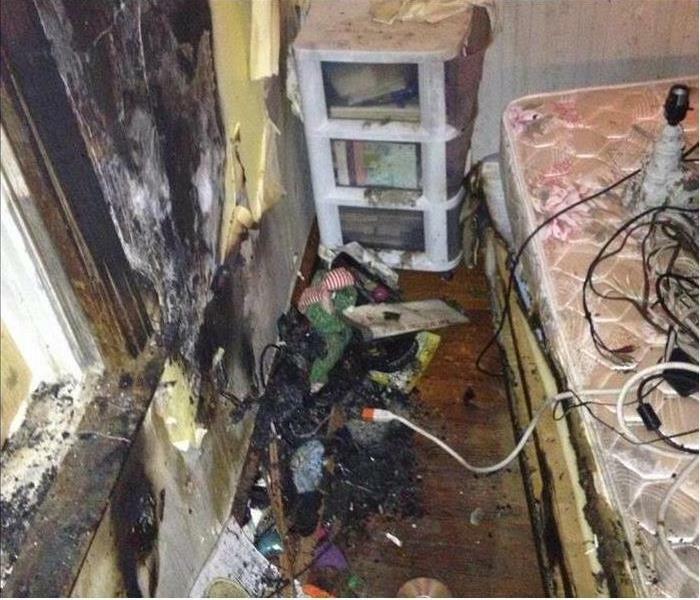 Fire Damage often leads to more soot and smoke damage cleanup than actual fire cleanup. This photo shows the abundance of soot and smoke that needed to be cleaned up as a result of a small fire in this Montgomery home. 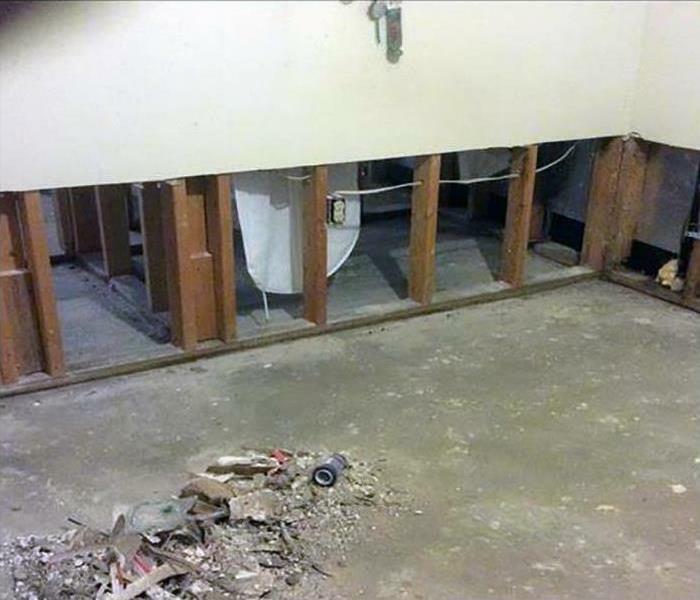 Water damage to this Centennial Hill Home occurred when there was a major sewage system backup. SERVPRO of Montgomery North was called by the owner and their insurance adjuster to perform emergency clean up. 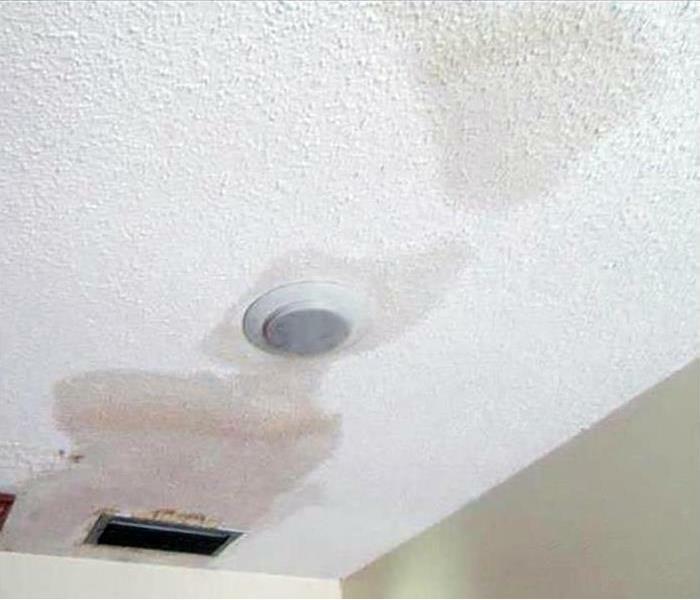 If you encounter water damage in the form of dirty sewer water, call SERVPRO of Montgomery North 24/7 at (334) 273-0992. The "Help Houston" call was immediately answered by SERVPRO of Montgomery North. The floodwaters, after receding, left a wet mess behind. This bedroom, through the hard work of Lamare Rudoph, an experienced crew chief from 2013, was demolished. He is a fully certified IICRC Water Remediation Technician (WRT.) 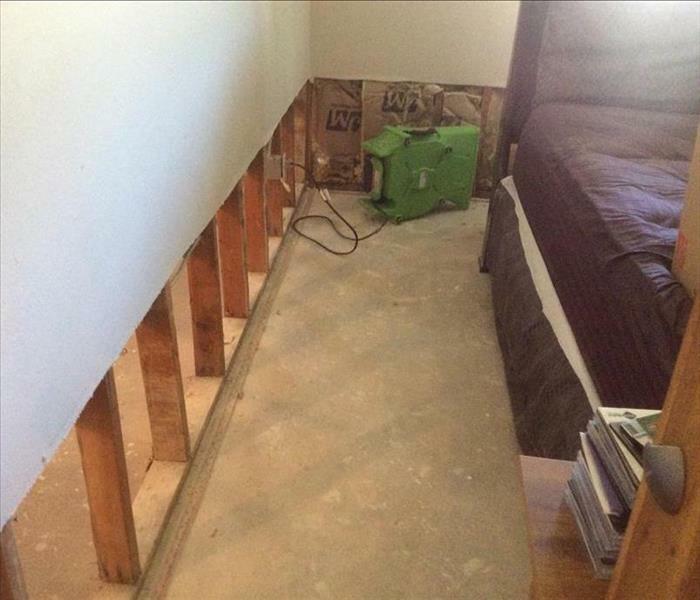 He "gutted" the water contaminated drywall and removed the water-logged carpeting before setting up our drying devices. He also ensured the health needs of the displaced family by carefully sanitizing all water damaged areas. We appreciate the fine work and willingness on Lamare's part to help these people in their hour of need. The Flooding in Houston, a 1-in-200 year event, required instant action to mitigate property loss. 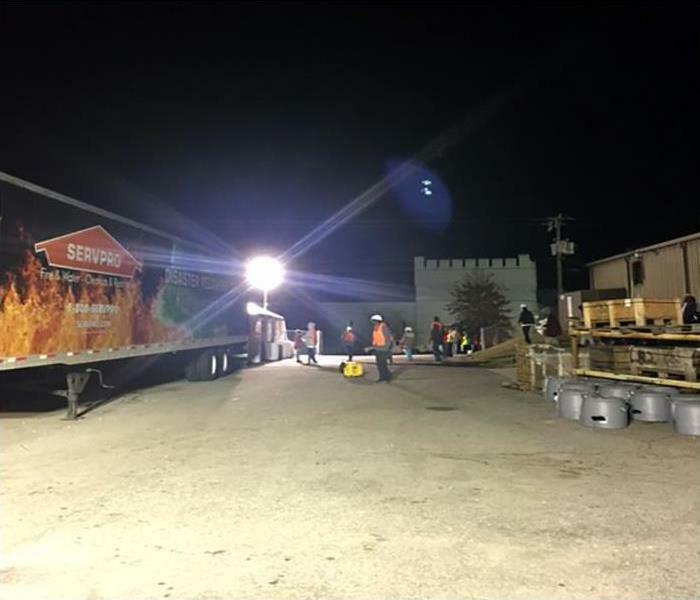 SERVPRO of Montgomery North was proud to help by dispatching a full crew, vehicles, and equipment to assist in the emergency water removal efforts. Dederic Tyson has been a team member for over three years and is a certified technician for FSRT (fire & smoke remediation tech) and WRT (water remediation tech.) Being a Crew Chief, he spearheaded the water extracting, and the discarding of contaminated water saturated items. This room has been prepped for drying. Thanks to his efforts, and the entire crew that trekked down to Houston to help out, we proudly can start the journey home, knowing we have helped many victims to recover their homes and precious, personal possessions. 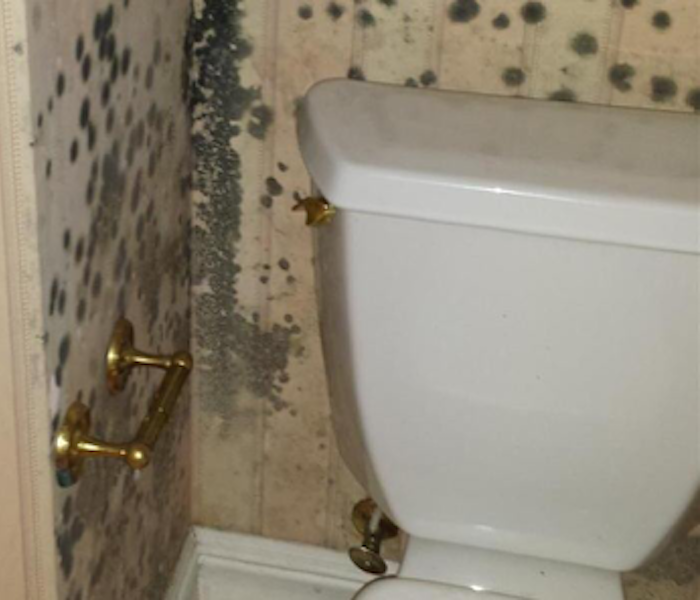 Mold Damage occurred in this Lake Martin house in the guest bathroom from a toilet supply line leak. Unfortunately, the owners were out of town allowing the mold a week to grow and the damage to become quite extensive. 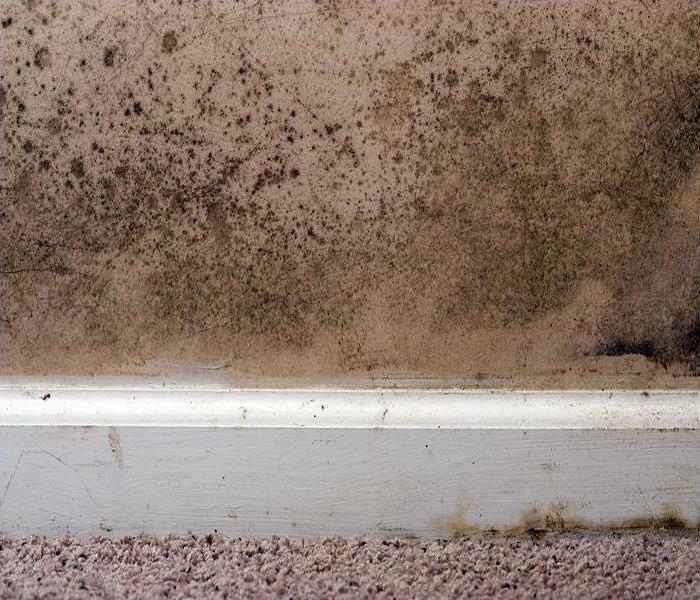 If you encounter mold damage, call SERVPRO of Montgomery North 24/7 at (334) 273-0992.